And as you know engagement on Instagram is 15 times more than Facebook, so it can be the perfect platform for growing your small business. You don’t have to be a huge company to get value on Instagram; the platform allows small businesses to compete with the big ones. 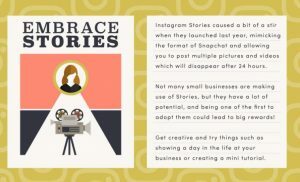 So, If you aren’t using Instagram for your small business ye, you are missing out on a massive mine of opportunities. Are you ready to dive into Instagram marketing for your small business? 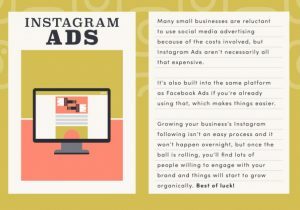 Here are some ways to grow your small business with Instagram to get in touch with your audience and hopefully new customers. 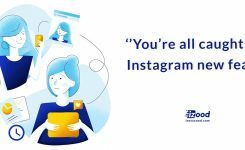 You will drive more traffic to your other accounts by connecting your Instagram to your facebook and twitter accounts. 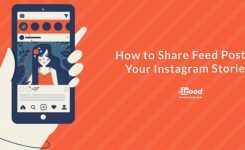 This way, any content you share on Instagram will automatically post to those accounts. And users can click to see your Instagram profile, like a photo, comment on it, or follow your account. Not all of your content has to be polished, professional product shits. Your follower might prefer these product pictures with filters. Or a few behind-the-scenes shots of your business. Your posts should deliver value in visual content that your audience can’t get anywhere else. Instagram sorts images by hashtags. 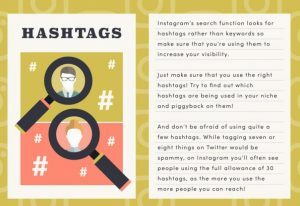 So if you use some hashtags relevant to your business, people will find you more easily. Also you can create a branded hashtag specifically for your business. This will bring more traffic to your Instagram account and will increase your brand awareness. Your audience loves it when you reply to their comments. So try to check your received comments several times a week and respond. Follow them back and try to interact with them on other social media platforms. It can be hard to explain your brand on Twitter, but the visual impact from Instagram gives you the opportunity to create a visual vibe for your business. Your profile should go beyond product photos to tell the story of your brand. You should understand your target audience and find out which type of content they like the most. 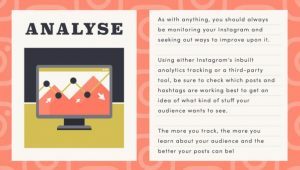 You can use Instagram analytic tools to find out which one of your posts got more likes and comments. And create more of them. The one with more comments and likes is the one you should produce. Just like any other social media platform, consistency is key. Try to post on a regular basis to stay in front of your audience, and they know when to expect new posts from you. Instagram has rolled out useful features than you can use to grow your small business on the platform. Such as Instagram stories, live videos, poll stickers, stories highlights, shoppable posts, username and hashtags on bios, etc. Most of all Instagram stories can come real handy. You can upload some behind-the-scenes photos or videos and use question stickers to interact with your audience and also answer their question in your following stories. Influencer marketing is one of the best methods to quickly build up your Instagram following, especially when you are new in the business. 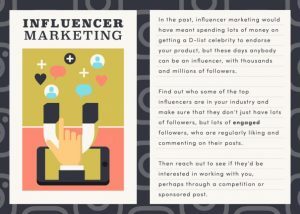 The only thing you should do is to get in touch with influencers in your niche with an established following and get your brand exposed to their followers. Start by making a list of the top influencers in your niche. Reach for them on Instagram to make sure they have real and engaging followers. It’s not just about their follower numbers; it’s about how much engagement they get and how much they are really influencing people! Then contact them and tell them that you are interested in working together. There are some automation tools that you can to promote your Instagram account more quickly. Instagram automation tools help you by automatically doing all the work for you. You can choose your target audience, and they will interact with them by liking, commenting and following them. So they would get curious and check your account, and if your content was interesting enough, they will follow you back and become your new customers. So they will save you more free time, and you don’t have to be working with your phone all the time. Instagram automation tools can help you in many different ways, such as Instagram bots, auto DM, schedule posts, etc. 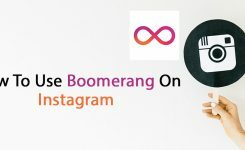 You can read this article to get more information on Instagram automation tools and Instagram bot. You can also use Instagram ads If you don’t have problems with the cost. These are known as a shortcut to promote your brand on Instagram. What is your way of Instagram marketing? Comment it below and tell us about it.